The Romanian parliament is discussing a legislative package called the Pact for Books, intended to stimulate book sales in a country that’s reported to lag behind other European Union member-states in terms of average book readership. 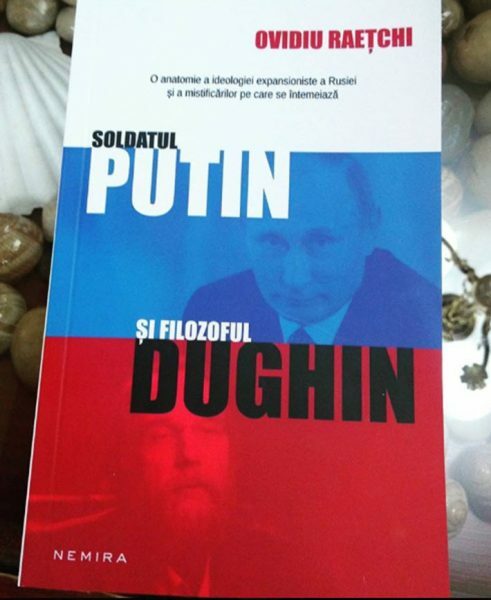 The initiative has secured broad political support from a number of major political parties, according to Ovidiu Raeţchi, a member of parliament for the opposition National Liberal Party (PNL) and author of six nonfiction books. It’s Raeţchi, 38, who submitted the legislative package. 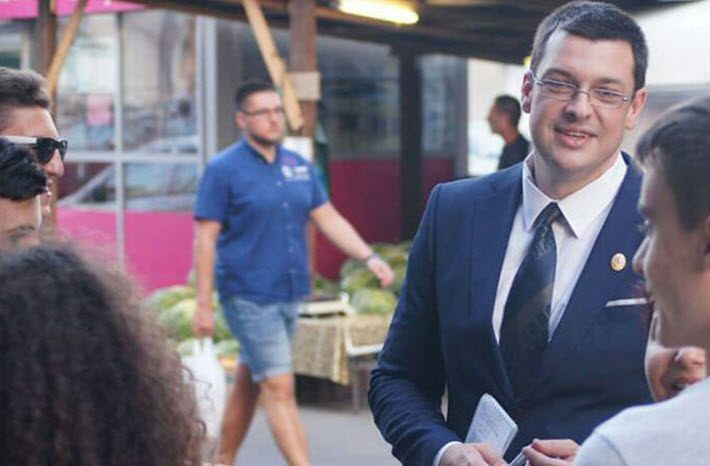 He was elected a member of the national Chamber of Deputies in December 2016, representing a Bucharest constituency, and now is leading the charge in a major legislative bid to change what he says is an unacceptable challenge to the country’s culture and its publishing industry. The lawmaker says that the bill’s aim is to address what he describes as “the root causes of the extremely low percentage of active readers in Romania, and of our poor records on functional literacy. “To tackle the basis of the problem,” Raeţchi tells Publishing Perspectives, “I’ve initiated seven legislative drafts comprising 10 major objectives, already signed by members of all political parties in the Romanian parliament. “In the process of drafting the bills, I collected some data that reveals staggering numbers,” he says. “Less than 30 percent of the population reads at least one book during a year, the lowest percentage in the EU and way below the European average. He points to the Czech Republic, with annual book sales in the range of €400 million to €500 million per year (US$464 million to $580 million), and Slovenia and Bulgaria, each with estimated market values between €100 million and €200 million (US$116 million and $232 million). The Pact for Books’ proposed elements include introducing annual financial support of €100 (US$116) for professors, funding that can be used to purchase books. There’s a similar annual voucher of €50 (US$58) for students. What’s more the Pack for Books eliminates all value-added tax (VAT) on print sales books, and reduces the VAT on ebooks to 5 percent. Raeţchi says that in addition to encouraging readership, these measures also can be expected to have a positive impact on the country’s economy and job market. The Pact for Books, according to its sponsoring MP, may also provide much-needed support to local bookstores, many of which are struggling to stay open. “Fiscal measures included in the package,” Raeţchi says, “are meant to stimulate the opening of new bookstores, which have been on a continuous decline starting with the year 2000, according to the National Statistics Institute. Raeţchi says he’s convinced that the overall initiative can attract and energize a broad political coalition. 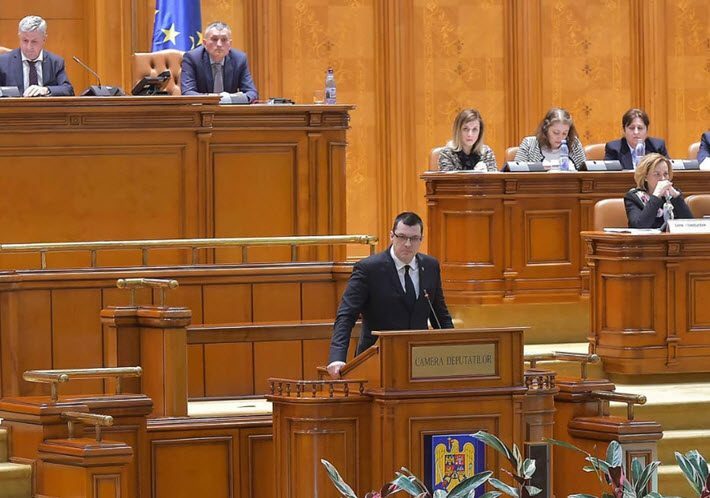 “The legislative drafts have entered the parliamentary circuit,” he says, “and are to be discussed by the committees, [and] then be subject to voting in the Chamber of Deputies and the Senate of the Romanian parliament. Raeţchi says he sees promoting book readership to be on a par with initiatives for Romania’s defense and security, both critical to the nation’s future. “There’ve been many instances in which we’ve reached agreement on important themes of our security agenda,” he says, “and it’s now time to increase investment in education and stimulate book consumption. Education is part of our National Security Strategy for 2015-2019,” recognizing literacy and the nation’s faltering reading culture “as one of the main vulnerabilities of the country.